– What is a personal statement? – Why is a personal statement important? – How do you write a personal statement? – When should I start? David has an MA in TESOL and Applied Linguistics from the University of Leicester, and completed his Cambridge RSA CELTA at GLOSCAT college in Cheltenham, UK. He has more than 18 years’ experience of teaching English as a second language at all levels, and abilities. He has gained a good understanding of the specific difficulties encountered by learners of different nationalities. 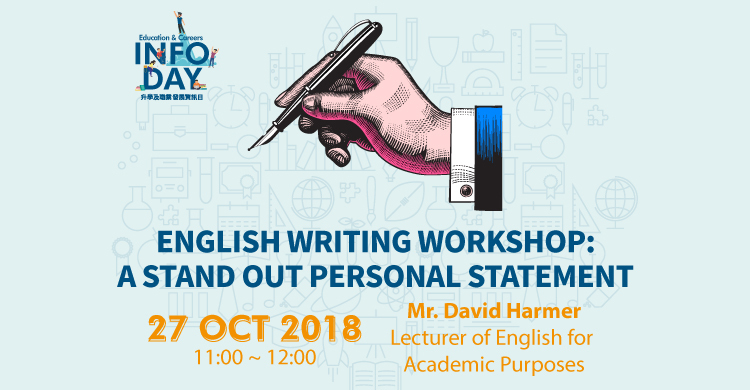 David has previously worked in Hong Kong for major language centres and Tertiary institutions, and has trained as a Cambridge Speaking examiner.